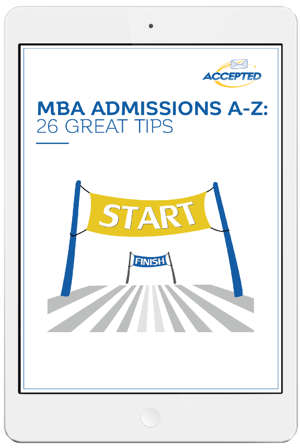 Improve Your MBA Application From A-Z! Learn proven strategies for each part of your application. Show your strengths and stand out! Will Your Application Be a Standout? 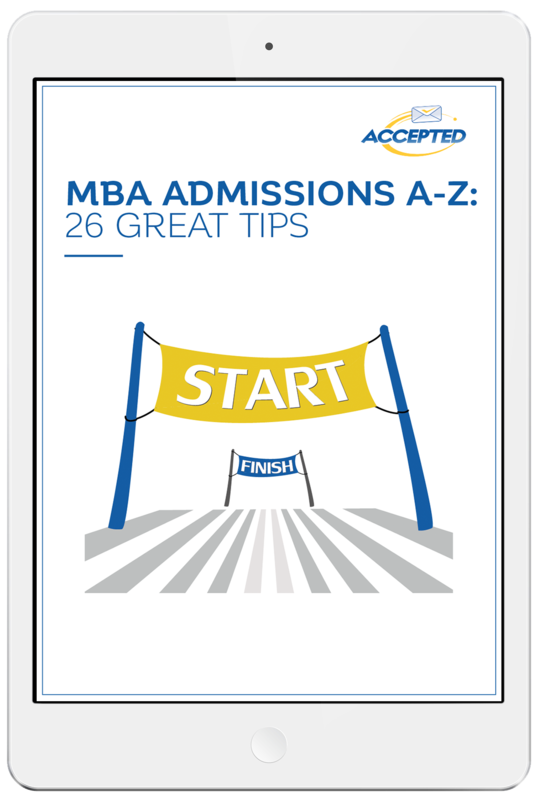 Each part of your application needs to be strong if you're going to get in the door at top MBA programs. And you need to stand out, showing the adcom what is unique and special about you. To help you do that, we've drawn on years of experience coaching b-school applicants to bring you 26 winning tips. From thinking about goals, to writing essays, to preparing for interviews -- you'll find it all in this free guide. When I received my acceptance from Stanford, I realized that I would never have applied if it were not for [Jennifer]. Get in touch with Jennifer Bloom. Get in touch with Dr. Karin Ash. Kellogg MBA who co-chaired Kellogg’s Student Admissions Committee under Admissions Office’s guidance and evaluated applications for two application cycles. Before Kellogg, coached successful applicants to HBS, Stanford, Kellogg, Booth, Wharton, Anderson, Columbia, Stern, and Ross. Get in touch with Libby Angst. "Over the last week, I found out that I got into Stanford and Wharton offered me [a grant]... needless to say, I am very happy and going out to dinner tonight and to celebrate. One last thought I had regarding the W grant: your help went beyond helping me obtain admission to actually increasing my chances of getting offered a merit-based fellowship--talk about unexpected ROI :)"
"Yesterday, I got the good news, and it was from Harvard! I am absolutely thrilled. Amidst the euphoria, I want to take out a moment to thank Accepted for all the help, and in ways that went beyond admissions consulting - from motivating me when I received a bunch of rejections to almost yelling at me when I tried to make last minute tweaks to the essays." "Jennifer has been such a great support to me during the application process. I would like to call out her resume edits specially, she shaped my resume into one that was crisp and yet very effective. She was very responsive and was supremely professional." - Accepted to Stanford GSB with a full scholarship!! Find your voice and learn how to make the adcom listen. Get your free guide to find out how!